Home - Cyber & Solidaritè: what have we do in Burkina Faso? Cyber & Solidaritè: what have we do in Burkina Faso? We are happy to present the final report after one year of effort by Modula Academy. In March 2018 Modula started an important journey with "Bambini nel deserto", the association that is engaging in guaranting a better future to the children, and their communities, in the African underdevelopped countries. 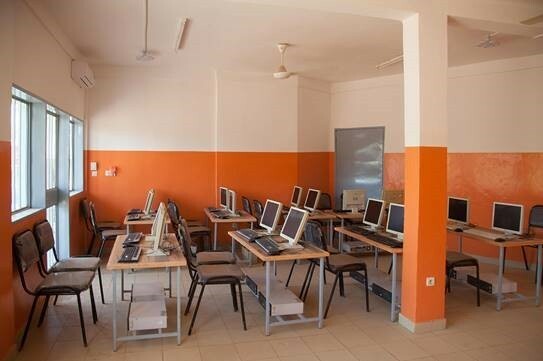 The project is called "Cyber & Solidaritè" and its main objective was to give at the university students of Ouagadougou, the capital of Burkina Faso, the opportunity to access the internet without cost, using the time for free lessons for school children. In Burkina Faso the 85% of students can’t afford an internet connection. 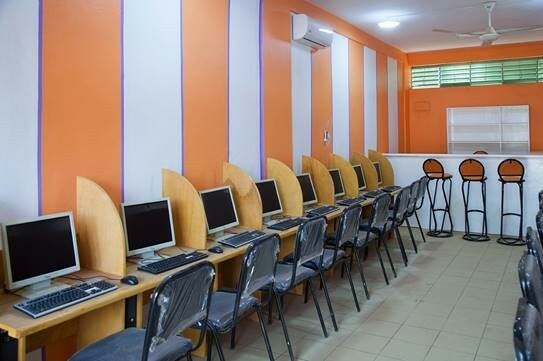 The cyber cafes apply a very high rates for the use of PCs and the costs offered by local operators are too much expensive. We decided to make a donation for each course carried out by our sales staff on the Modula Academy e-learning platform. Every salesperson with this project contributed to increase his knowledge of vertical automatic warehouses system but, most important, participated at the creation of these cyber classrooms.